Renault's new No. 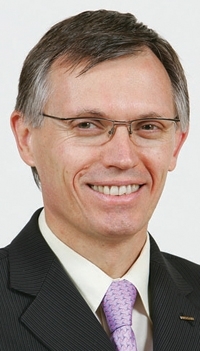 2, Carlos Tavares, is seen as a potential successor to CEO Carlos Ghosn. Tavares, Nissan's top executive for the Americas regions, was named as Renault's chief operating officer on Monday. Renault said Tavares, 52, would start the new role immediately and will fully assume his new duties by July 1. Tavares replaces Patrick Pelata, who stepped down in April over his role in a botched industrial espionage investigation. "Tavares has good knowledge of both Renault and Nissan and should help Renault capitalize on the alliance," London-based Credit Suisse analyst David Arnold said on Tuesday. Tavares could "one day be seen as a potential successor for Carlos Ghosn," he added. Tavares, a Portuguese national who speaks fluent French and English, spent 23 years working at Renault in engineering and program management roles before moving to Nissan in 2004. In connection with the Tavares appointment, Ghosn, 57, has agreed under French government pressure to devote more time to Renault, two people with knowledge of the matter told Bloomberg News. Ghosn, who also runs Nissan, had daily operational oversight to Pelata in 2008. France is Renault's biggest shareholder with a 15 percent stake. It has said it wants Renault to take a clearer lead in the alliance with Nissan. Renault has a 43.4 percent stake in Nissan. Ghosn will be "more present in France" and personally oversee development of future upscale models and likely plant investments in China, he said in a Le Parisien interview on Tuesday. As Ghosn increases his involvement at Renault, the No. 2 position will be slightly reduced from the operational command Pelata held, Bloomberg reported, adding that details of Tavares's responsibilities will be decided in the coming weeks. Tavares is known as a hard-worker but has an informal and approachable style. Renault said Tavares will oversee the implementation of the the carmaker's mid-term strategy called Renault 2016 - Drive the Change, which aims to boost growth in international markets and become a leader, with alliance partner Nissan, in electric vehicles. 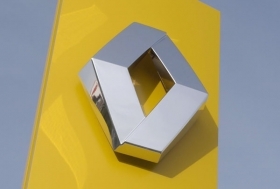 "Permanent improvement in competitiveness and the development of sites in France will be a priority," Renault added in a statement. Tavares is a graduate of Ecole Centrale de Paris, one of France's most prestigious engineering schools. He has spent most of his working life with Renault, where he held a wide range of posts in France, in the engineering and programs division. In his down-time, his hobby is racing sports cars. He joined Nissan as program director and was promoted to vice president of product strategy and product planning. In 2005, Tavares was appointed to Nissan's board of directors, and in 2009 he assumed responsibility for operations at Nissan Americas. In his most recent role, Tavares cut global manufacturing costs by expanding production in Mexico and bid successfully for $1.6 billion in U.S. Energy Department funding for an electric-car battery plant. Tavares is known as a hard-worker but has an informal and approachable style. "He's very enthusiastic, he transmits a lot of energy to you and he's a visionary," said Joao Dias, national coordinator of the mobi-e electric vehicle (EV) charging network in Portugal, where Nissan has a groundbreaking EV partnership with the government. Nissan said Colin Dodge, executive vice president and chief performance officer and chairman of the automaker's Africa, Middle East, India and Europe unit, will take on the additional post as head of the Americas region, succeeding Tavares. The change is effective June 13. The automaker also named Bill Krueger to the post of vice chairman for Nissan Americas, a new role, effective June 13. Krueger will be Nissan Americas' highest-ranking resident executive and will report to Dodge. Krueger will be responsible for the day-to-day operations of Nissan Americas' business in the U.S., Canada, Mexico, Brazil and 37 other Latin American and Caribbean countries. Krueger, 46, most recently served as senior vice president for manufacturing, purchasing, supply chain management and customer satisfaction for Nissan Americas.